I love entertaining and hosting dinner parties, and my favourite part is planning the menu – everything except dessert that is. Don’t get me wrong, I love to eat desserts as much as the next gal, but I’ve never been good at making them. Baking is too exact of a science for me, I’m more of a cooking by ‘andaza’ type of girl. This may be the reason that I’ve gotten so good at doctoring desserts over the years. Nobody can dress up a boxed Betty Crocker mix better than I can, and I’m pretty much ready to accept the Oscar for faux desserts in the fusion category any time now. If you fear baking dessert as much as I do, may I suggest one of these so easy they almost don’t qualify as recipes, recipes…. Chocolate Dipped Besan – you have no idea how good chickpea flour and milk chocolate are together (and no one will really ever know why I thought of trying them together). 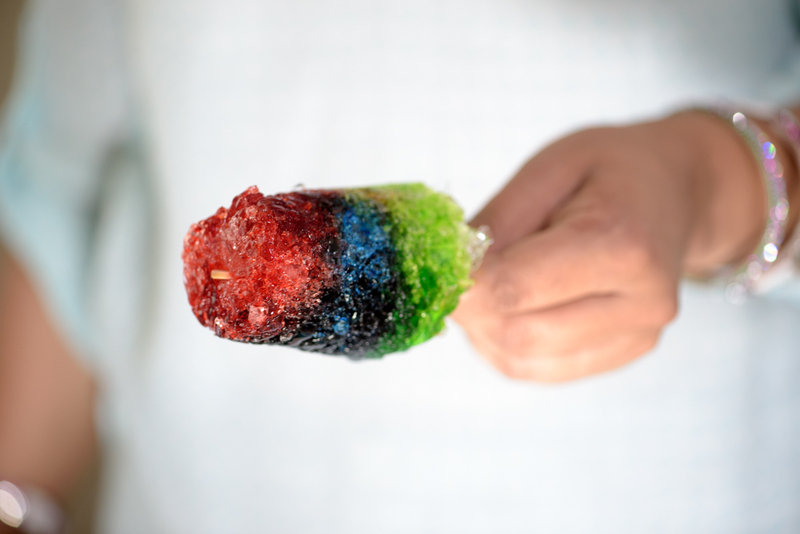 Barf Ka Gola – my version of the desi snow cone is made with gourmet syrups and tastes mmm, mmm good! 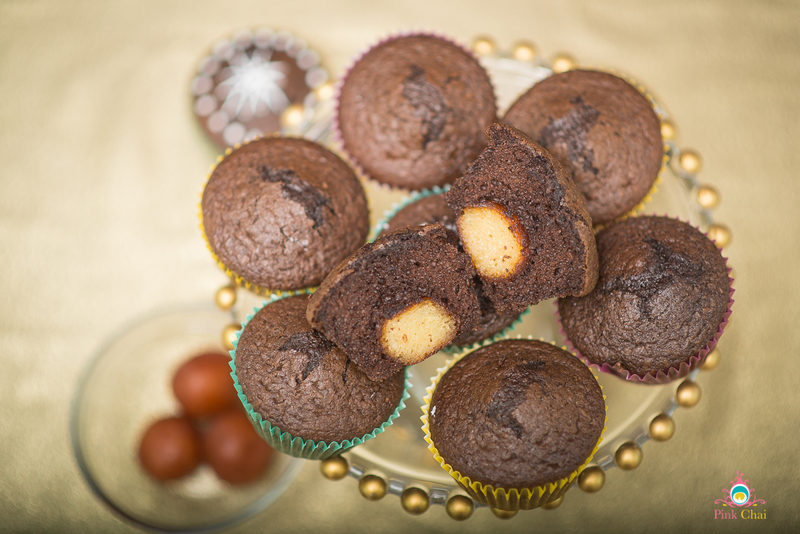 Gulab Jamun Cupcakes – gulab jamun inside a cupcake, need I say more? 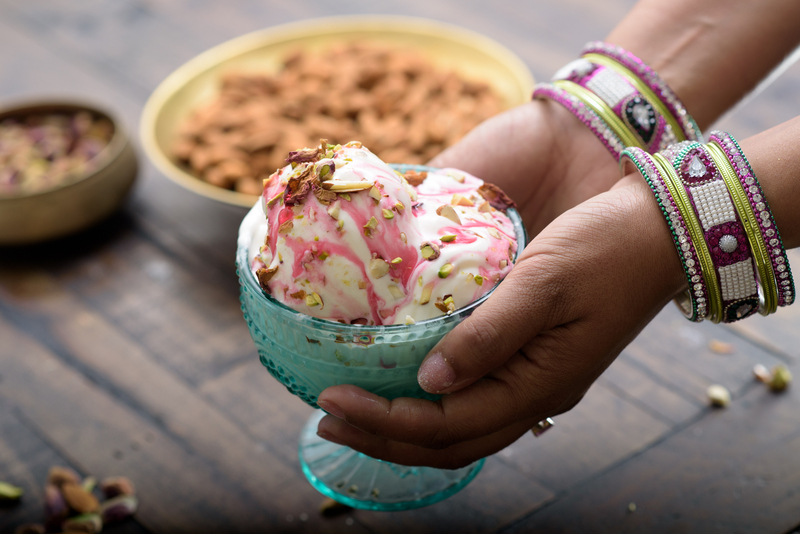 Rooh Afza Sundae – so pretty and so yummy, and did I mention so easy your children can make it? 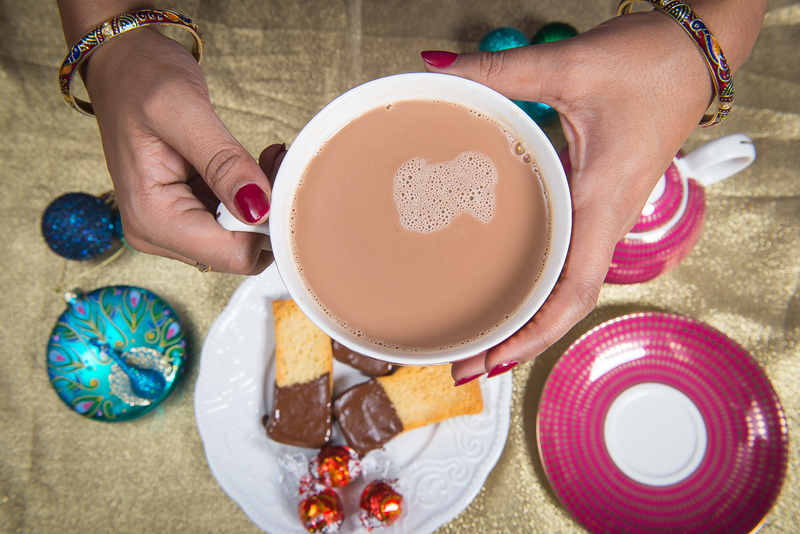 Hot Chocolate Chai – not exactly as dessert but it’s soooo good you have to try it. If you try out one of these delicious recipes I’d love to hear what you think! 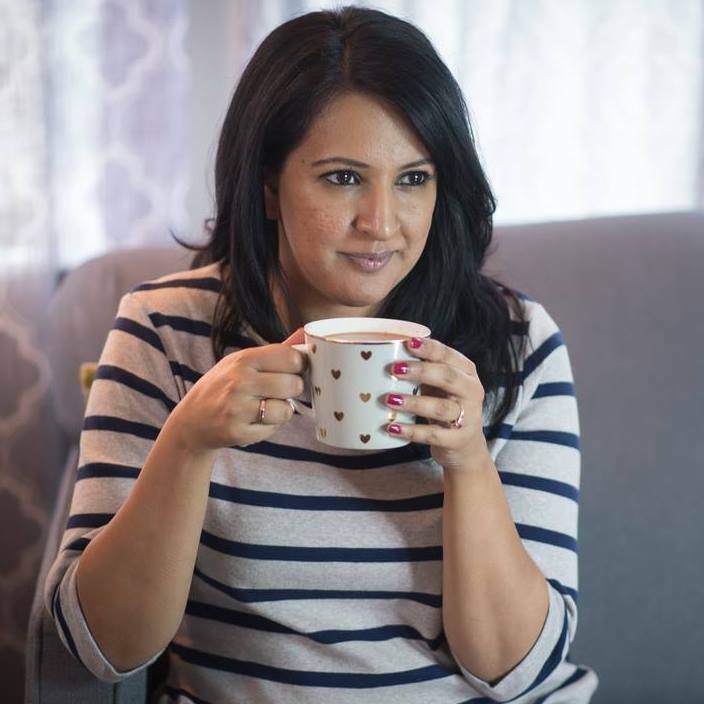 Leave a comment or share your pic with me on Instagram or Facebook…@pinkchai. Hamilton Beach Ice Cream Maker – Review & Giveaway! These are interesting but how do we make it? 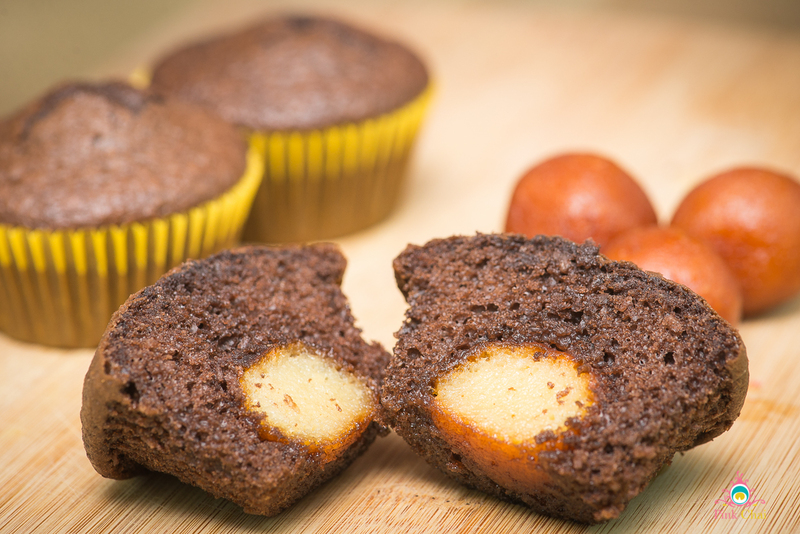 Like e.g., i’m anxious to know how did you put gulab jamun in a cupcake? I wanna try that, and so with few other ideas mentioned above. It will be great if you mention how we exactly do that? 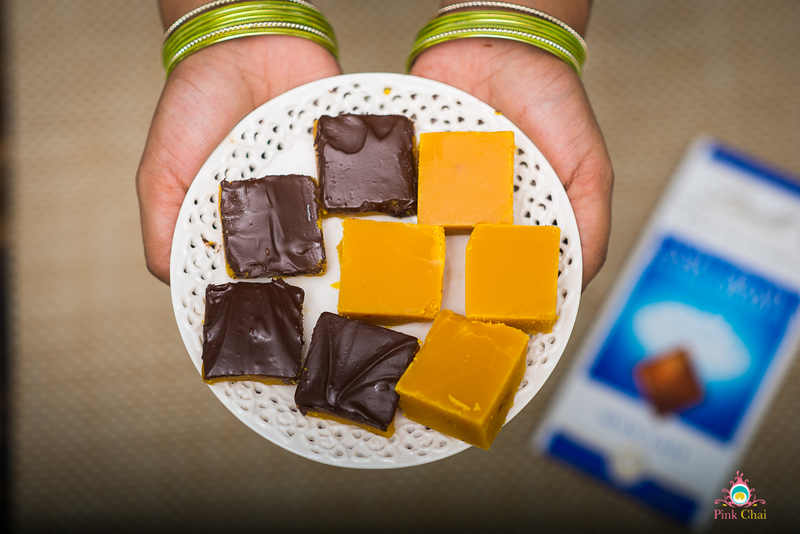 Hi Sonal, if you click through to each of the recipes listed in the post there are step by step directions. Let me know how it turns out!